Posted by btx3 on July 5, 2015 in Music, From Way Back When to Now, Nawwwwww! 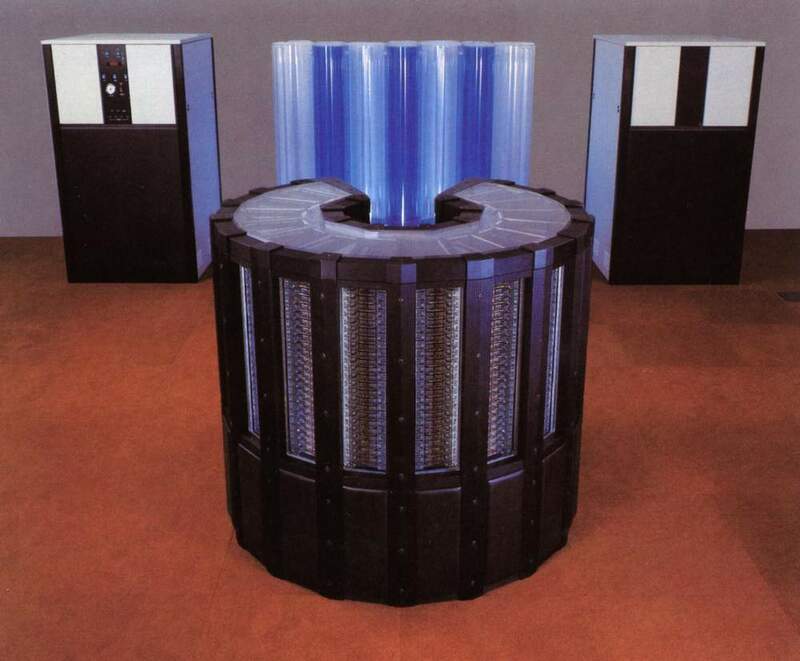 Some of my supercomputer buddies out there from back in the day would correctly identify the massive machine below as a Cray 2. The mega azz-kicking rocket propelled computer of it’s generation. The difference between it and the Cray 1 is they got rid of the “window seats” and upped the computational horsepower on the order of megaflops… Got to “play” with one of these once…actually about 12 CPU seconds…which is all it took to process a computation that took a small campus of building size IBM General Processing Machines (AKA Mainframes) a year to do. The other pic? The new Apple Mac-Pro. About the only thing that hasn’t changed is the price.